Agronomy is a branch of agriculture that deals with the cultivation that is the development and practical management of plants and soils to produce food, fiber crops, and feed for animals. Agronomy is the branch of agriculture that deals with the principles and practices of crop production and field management. More precisely, it can be defined as the branch of agriculture which deals with scientific crop production and soil management. Agronomy term is derived from two Greek words agros (field) and nomos (to manage). Resource utilization: Appropriate and efficient utilization of natural resources, capital and labour are very necessary for ever increasing crop production. High productivity under all conditions: There are many agro-climatic zones and agro-ecological regions and to sustain high productivity of the crop under all zones is very important. Selection of the right variety: A right variety of the crop should be selected taking care of different irrigated and rainfed conditions, soil fertility and seasons. Proper field management: Proper field management by tillage, timely irrigation, proper drainage and controlling land degradations is very important. Perfect crop system: That cropping system should be designed which has higher yields, high resource use efficiency, more net return, and remain sustainable. Timely application of fertilizers: Timely application of nutrients to the crop keeping in mind the improvement of soil fertility and productivity. Application of organic manure and biofertilizers should be encouraged. Right plant density: Quality seed material should be selected and optimum plant density per unit area should be maintained for optimum production. 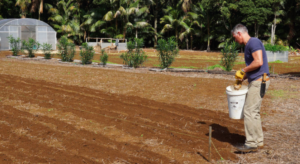 Efficient use of water: When to irrigate, how much to irrigates and how to irrigate the crops, conservation of rain water and increasing water use efficiency. Timely adoption of plant protection measures: Proper plant protection methods should be adopted for control of weeds, harmful insects, and diseases. A suitable method of harvesting: Suitable method of harvesting the crop to reduce harvesting loss and prepare the land for next crop. Adoption of post-harvest techniques: Adoption of required post-harvest techniques like cleaning, drying, storage, value addition etc.